Athens is one of those cities – along with Rome and London – that you simply have to visit. It is the birthplace of civilization. A city of culture, art and science which remains unparalleled despite its recent economic woes. But today, Athens is fast becoming one of the go-to destinations for millennials, as it combines historical sites, such as the Acropolis, with trendy bars and restaurants, as well as a popular nightlife scene. Cruise ships dock at the New Passenger Terminal in Piraeus which is approximately eight miles from Athens city centre. So, you’ll need to organise a transfer to get to Athens, and there’s a lot to pack in so if any destination is worth a shore excursion, this is it. Want to go your own way? Taxis are usually located outside the terminal and there is also a bus service that runs from Piraeus to Acropolis – both will take roughly 30 minutes. You can also take the metro, which runs directly into the centre of Athens, but is about a 20-minute walk from the terminal. Acropolis: No visit to Athens is complete without a visit to its most famous destination – the Acropolis of Athens. 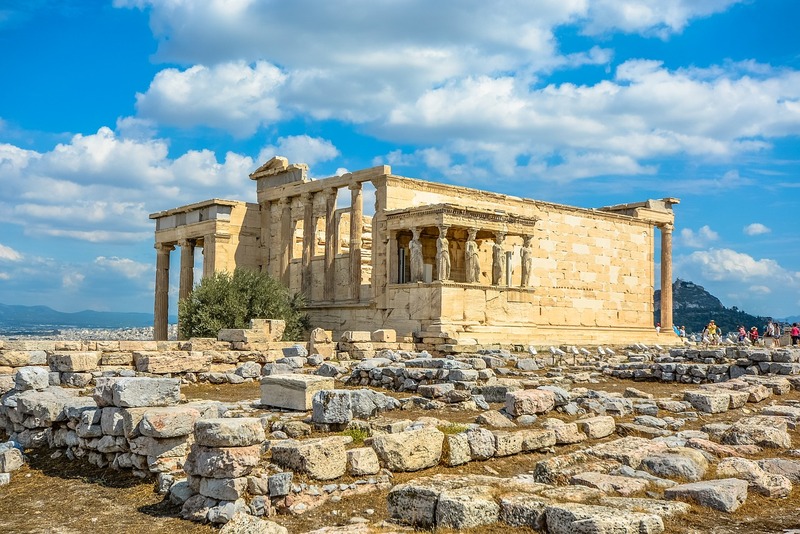 An ancient citadel, whose roots can be traced back to the fourth millennium BC, is home to some of the world’s most famous monuments, including the Temple of Athena Nike, the Erechtheion complex and, of course, the Parthenon. You can easily spend a day just wandering around this fascinating site alone – so make sure to take your time and do it properly. The rest of Athens can await your next visit. Benizelou Mansion: An interesting curio away from the more headline grabbing sites of Athens is the Benizelou Mansion, he oldest house in Athens. Built during the Ottoman era, it is now a popular visitor attraction. The main exhibitions focus on the Benizelos family and, in particular, Agia Filothei, who became a nun and lived in the mansion during the 16th century. Panathenaic Stadium: The Panathenaic is one of the foremost monuments in Greece. Notable for its connection to the Olympic Games – it hosted the opening and closing ceremonies of the first modern games in 1869 and is from where the Olympic flame is transferred to the next host city. The venue traces its roots back to 338 BC, when Lycurgus, an orator in Ancient Greece, outlined plans for a stadium. Klimataria: A staple of Athens since 1927, this family-run taverna serves up classic Greek dishes alongside plenty of dancing, singing and music. To Paradosiako: There’s nothing like a good plate of grilled Greek meat and chips – and that’s what you get at this meat-lovers paradise in the centre of Old Athens. Strofi: Enjoy a candlelit dinner under the stars at this quaint Greek restaurant which provides stunning views of the Acropolis in the distance. Kolonaki: This is the luxury shopping district of Athens and where you’ll find the high street brands – and the Greek boutiques – to splash some euros on. Monastiraki Flea Market: While it may be called a flea market, in reality, this is closer to a Bazaar and packed full of vintage fashion and second-hand goods. Ermou Street: The longest shopping street in Athens – this is the place to be for those mid-range gifts and souvenirs that won’t cost you too much. Take the Euro when travelling to Athens, however, be prepared to carry cash as some smaller shops and restaurants do not accept card.